The Assam PAT 2018 Application form has been released by the Directorate of Technical Education Assam. 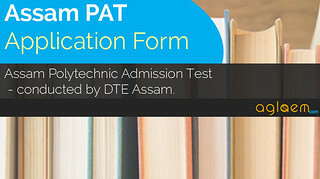 Through PAT candidates can get admission to various Polytechnic Diploma courses in Universities or colleges affiliated to Directorate of Technical Education Assam. Only the eligible candidates will be able to apply for the test.In this article we will discuss the details regarding the application form such as who can apply for the exam, instructions to fill the form, what are the examination centers and dates for Assam PAT 2018. Latest: Assam Polytechnic (PAT) Application Form 2018 has been released. Eligible candidates can apply online from the link given below. Application Form for Assam PAT has been released on the official website of Directorate of Technical Education Assam at www.dte.assam.gov.in The candidates will be able to fill the application form through online mode. The official link to fill the application form will be also available here. Apply Online: Click Here to apply for Assam PAT 2018. 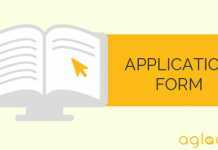 Candidates must pay the application fee while submitting the application form of Assam PAT 2018. Application fee for all the candidates is Rs. 400/-. It can be paid by using “State Bank Collect” through Debit/ Credit card or by Net Banking. The payment of the application fee is the last step of Online application form. 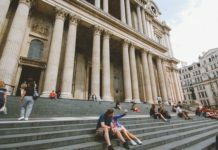 Payment may also be made in cash at any State Bank of India after generating the Cash Deposit from :State Bank Collect” in final step of Online Application. Visit the official website and click on the “Online Application” for PAT 2018 as mentioned above. 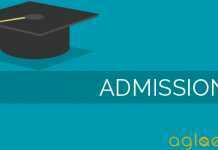 Click on the Polytechnic Admission Test and then choose the “Apply Online” section. Read the instructions carefully before filling the application form. After reading proceed to fill the application form. Select the course you are applying for in the “Apply for Diploma Courses” section. Now fill the application form with all the necessary details such as personal information, educational qualifications, contact details. After filling all the details, submit the application fee by using the “State Bank Collect” as discussed above in the Application fee session. A registration number shall be generated, candidate must note it down and keep it safe for the future use.